We like to think laterally. Invaluable lessons learned from working across a number of sectors are fed into new projects, and as a result, we thrive on the challenge of undertaking brand new projects and designing completely original types of buildings. We have a passion for design and production of well-detailed buildings which seamlessly merge into existing urban frameworks endeavoring for longevity and sustainability. We understand the commercial pressures on our clients and work closely with them in a spirit of inquiry and constructive challenge. We are committed to reaching deep into the heart of a project to be certain that our response is one that delivers excellence in every dimension, ensuring success for our clients. Whether we are designing a single building or master-planning a new city quarter we are focused on quality and practicality. The cumulative knowledge and capability of our studio, coupled with a truly entrepreneurial spirit, means that we work alongside our clients bringing genuine commercial acumen, developing and designing to deliver optimum outcomes for our clients. & workplace but to name a few. The design process begins with a meeting with an architectural designer at your property. This design session lasts for either half a day or a full day, depending on your requirements. We will help to define your brief and advise on the best way forward for the project. We will assist with development of the brief and discuss alternative approaches for your project. This stage includes advising on the need for other consultants, from structural engineers to home automation specialists. We will also assess any soil or structural investigations required. A hand drawn sketch survey of the site or existing property will be produced to allow a clear analysis of the potential and constraints of the property. We will discuss a variety of design ideas with you, including material finishes, organisation of spaces, qualities of natural light and views. Following this we will produce a set of scaled, hand drawn sketch plans. he statutory consents required for your building project will be considered. An initial budget will be agreed, and a draft payment schedule provided that sets out dates for payments to be made to consultants and the contractor to assist with financial planning. A programme will be produced alongside the payment schedule that describes the sequence and duration of each element of the design and construction works until completion on site. The design process is a collaborative one, your designer will discuss each aspect of the proposal in detail with you as the design develops. We provide drawings, material samples and 3D rendered views illustrating the qualities of the proposed spaces. We will suggest appropriate consultants from our list of approved firms in London. These may include a structural engineer, a party wall surveyor and an approved inspector. Larger and more complex projects may additionally require a planing consultant and a quantity surveyor. 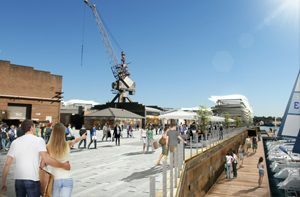 Proposals will be developed into a full set of planning drawings. We can produce realistic 3D visualisations alongside sketch drawings to enable you to clearly envisage ideas. We will work closely with you to decide final appearance of the scheme, including material finishes, for which we can provide samples and mood boards. At this stage a quantity surveyor may be appointed to produce a detailed cost estimate of the scheme prior to submitting a planning application. This will ensure that the project is on budget. The cost report provides a detailed ‘shopping list’ of all items in the project, allowing informed decisions to be made if savings are required on specific items..
Pre-application advice may be sought from the local authority. Following this, an application will be prepared for planning consents. 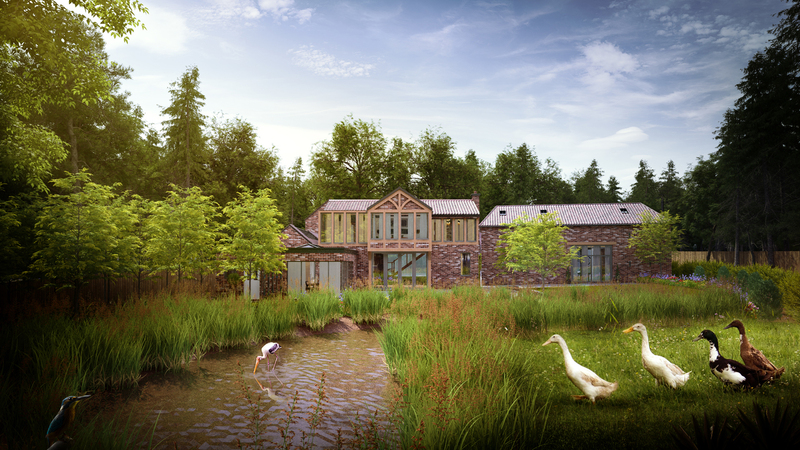 Plans, elevations and sections will be submitted alongside a design and access statement. For smaller projects there is usually an eight week determination period, in which time the planners will consult with neighbours and relevant bodies. Various other consents may be required, depending on the scope of the project. These may include listed building consent, freeholder consent for leasehold properties or Highways approval. 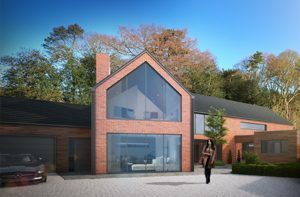 At this stage we will be progressing the design from planning drawings to a fully developed proposal, with the detailed drawings and schedules describing the works. These form part of a package that will enable pricing to then be provided for construction purposes. 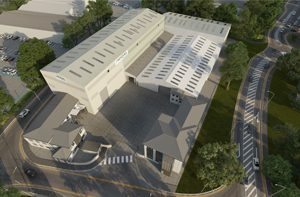 Detailed drawings will be produced to finalise all elements of the design, indicating key junctions, structural design, services including electrical layouts, and floor, wall and roof constructions. >A building regulations package including detailed drawings and notes are submitted to an approved inspector who will certify compliance with the building regulations. Your designer will liaise with a party wall surveyor to ensure that the appropriate party wall notices are issued in accordance with the work described on the detailed drawings. We are able to produce a complete interior design for all projects, including soft furnishings. We also offer landscape design, bespoke joinery and kitchen design if required. We will advise on the selection of an appropriate building contract for the works, and explain the process of entering into a building contract and the duties of the client, the architect and the contractor at each stage. Tender documents will be prepared to supply to contractors for pricing. These will include a schedule of works, detailed demolition and construction drawings. Contractors will be invited to tender, allowing a period of 4 weeks for contractors to review the documents and return completed tender submissions with a lump sum price and a total contract duration in weeks. We will advise on the selection of a contractor. During construction works, your designer will be visiting the site to see that work is proceeding and in accordance with the proposed designs, and following completion; they will make the final inspections and advise on any rectification works that are required. A pre-contract meeting will be arranged with the selected contractor to discuss the project in detail and to present the building contract for signatures. A full set of construction drawings will be issued to the contractor and work will begin on site. We will deal with queries and issue formal Instructions to the contractor. AAt regular intervals we will visit site to inspect all work, to ensure that it is completed to the required standard. Once this is agreed, we will certify the work completed and the sums due to the contractor. A 5% sum is typically retained until the end of the project. Typically a building contract contains provisions for damages to be awarded to the client for over-runs on the part of the contractor. The contractor may however claim for extensions of time for valid reasons. We will assess these and award if appropriate. The practical completion certificate transfers possession of the building to the client. At this stage the rectification period will begin. This is typically a 6 month period in which the contractor is instructed to return to rectify any relevant issues. Once the final certificate is issued at the end of this period the remaining retention sum is paid to the contractor.